We opened several sites this year by clearing some brush and adding access to electricity & water in some areas. In addition, we had a couple of people give up their site. During the busy season, it was hard to figure out where we stood because we were always booked with visitors and we took so many new memberships. Now that things have settled down, we did an inventory of campsites and found that we can book a few more long-term sites and still keep 25 open sites for short term use. The members who previously asked to be on a waiting list are being contacted first. The available sites will be assigned on a first-come, first-served basis. So if you interested in a campsite, please contact the office right away to place yourself on the list. Email info@BareOaks.ca or call (905) 473-6060. There is only one trailer for sale right now. 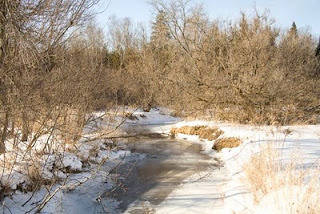 It is on an large premium lot that backs onto the forest. See www.BareOaks.ca/Bare-Oaks/Used_Trailers.html for details. 3. Purchase a new trailer on a site. 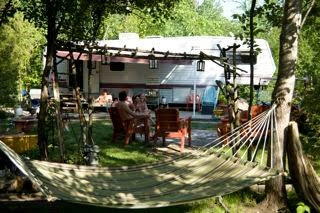 There is one large, private campsite available on Vaïs Lane. In order to get this site, you must purchase a new park model trailer (in any configuration you want) through the Bare Oaks office. Bare Oaks is happy to promote the sale of park model trailers from Woodland Park and Northlander. You can see sample trailer plans at www.bareoaks.ca/Bare-Oaks/New_Trailers.html and on the Northlander Website. Several parts of our property are environmentally sensitive and must be protected. We want to keep our natural spaces open for our members to enjoy. To ensure that all members can spend the occasional weekend or vacation at Bare Oaks, and because we want to continue to welcome visitors from all over the world, we keep 25 campsites open for short-term use.